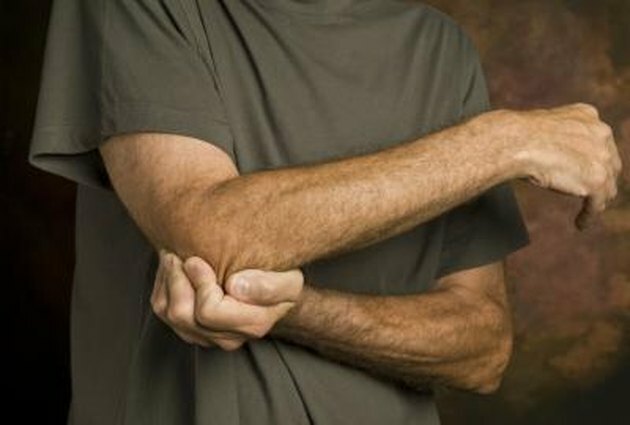 Joint pain, also known as arthritis or arthralgia, affects people all over the world and can be caused by many different injuries, diseases and infections. Everything from autoimmune diseases like rheumatoid arthritis to infections such as influenza can cause pain in the joints; however, you might experience unexplained joint pain that often is not affected by regular pain management medications, and many new studies are pointing to vitamin D deficiency as the culprit. Low levels of vitamin D in the blood are known to cause bone and muscle pain and weakness, including in the joints. Vitamin D deficiency is caused by a low level of vitamin D in your body. Vitamin D is a fat-soluble nutrient that can be found in some foods, such as fortified milk and salmon, but receiving enough vitamin D from your diet is next to impossible. Vitamin D can be made by your body naturally when your skin is exposed to the ultra-violet B rays from the sun. Vitamin D is measured in the blood as 25 hydroxyvitamin D and is expressed as nanograms per milliliter or ng/ml. Normal levels are between 30 and 80 ng/ml. If your blood level is between 20 and 30 ng/ml, you are considered vitamin D insufficient, and at below 20 ng/ml, you are considered vitamin D deficient. According to the National Institutes of Health, joint pain can affect one or more joints at a time and can be caused by a variety of injuries or conditions. Autoimmune diseases like rheumatoid arthritis cause joint pain and stiffness because the body's immune system attacks the synovial fluid within the joints. This disease has no cure and joint pain is a lifelong battle. Bursitis, or inflammation of the bursae that cushions the end of the bones, also can be a cause for joint pain. Infections such as influenza, or the flu, also can cause your joints to hurt and ache. While vitamin D always has been linked to bone health, many recent studies have linked vitamin D to many other areas of the body and the prevention of many diseases. Research, like a 2011 study published in "Maturitas," has linked vitamin D deficiency to joint pain. This study looked at postmenopausal women and found that low vitamin D concentrations in the blood were linked to higher joint pain scores. Another 2011 study published in "Clinical Rheumatology" looked at new patients coming into rheumatology clinics and found that overall, 70 percent of these patients who suffered from some sort of joint pain also were vitamin D deficient. Researchers believe that vitamin D deficiency might be a risk factor for many rheumatologic conditions. Vitamin D deficiency is becoming a widespread health concern and many believe it is in some way connected to the increase in patients diagnosed with fibromyalgia, rheumatoid arthritis and multiple sclerosis. A 2009 report in the "Archives of Internal Medicine" said that as many as 77 percent of Americans do not have an adequate level of vitamin D. If you believe you might be vitamin D deficient, consult with your physician and have you vitamin D levels tested. If the results show you are deficient, your physician will begin a treatment plan with high-dose vitamin D supplements; once your levels are within optimal range, he will place you on a maintenance dose of vitamin D.